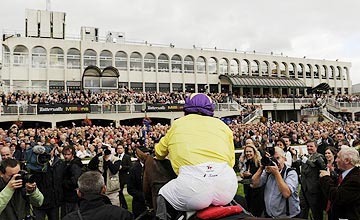 9500 spectators made their way to Leopardstown yesterday to witness Sea the Stars 5th Group 1 victory in as many months. 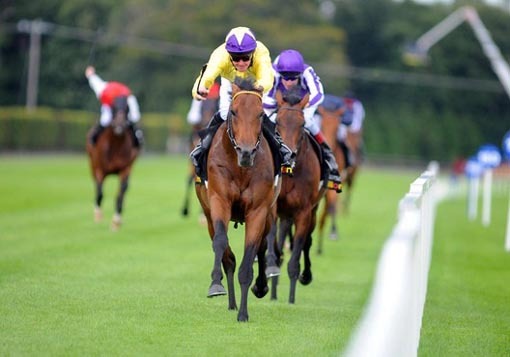 He got a Hero\'s welcome which the Irish racegoers usually reserve for their jumping heros only. It was a fantastic day and the Cape Cross colt made it look his easiest win as yet. The beaten horses were no others than the Irish Derby winner Fame and Glory and the Irish 2000 Guineas winner Mastercraftsman. After having beaten Rip van Winkle in the International Stakes last month, Aiden O\'Brien is running out of ammunition to pitch in against this exceptional colt. It is a privilege to see the colt every morning at Currabeg and it is even more fantastic to have Khatela in foal the Cape Cross! 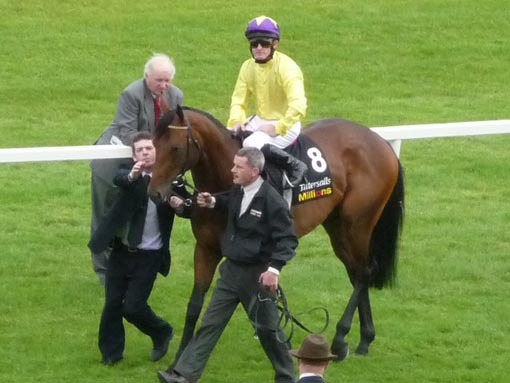 The "Team O'Brien" surrounding Sea the Stars before the race, STS leaving them trailing in his wake (middle) and receiving a truely memorable welcome from the Irish crowd. 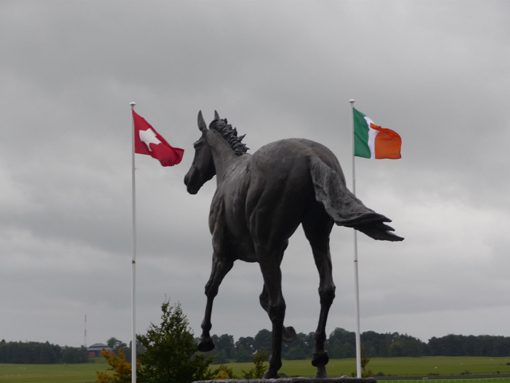 Meanwhile the Swiss flag is flying high above the Curragh plains after Joerg Vasicek's Termagant winning the Group 1 Moyglare Stud Stakes last weekend. Warmest congratulations to connections! Even Ridgewood Pearl looks impressed!